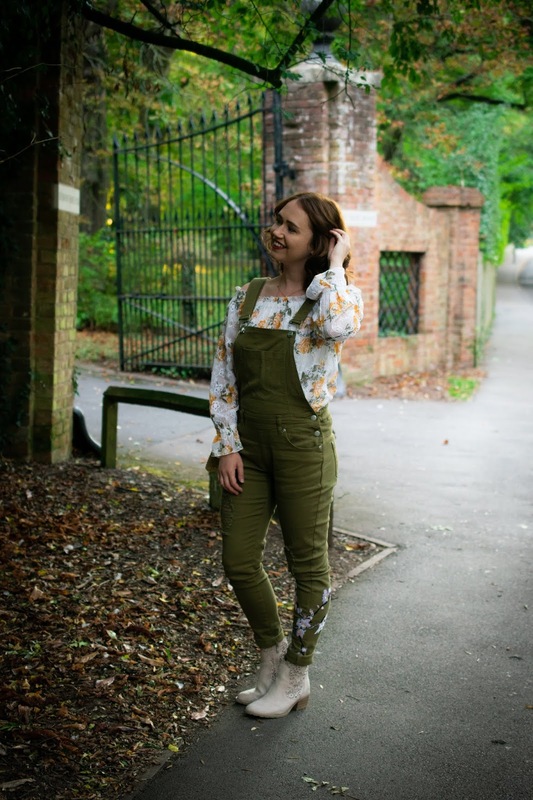 The Hidden Fashion piece I am styling today is a fashion favourite of mine - dungarees and perfect timing for the transition into autumn (bye bye summer). 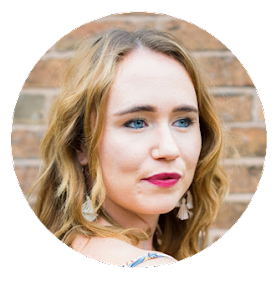 Seen on a host of celebrities including Alexa Chung to Sarah Jessica Parker meaning whatever your age you can pull them off! Dungarees are perfect for layering either t-shirts or your autumn knitwear and you can easily turn your casual outfit into an evening look by pairing the dungarees with heels, a blazer or a leather jacket. 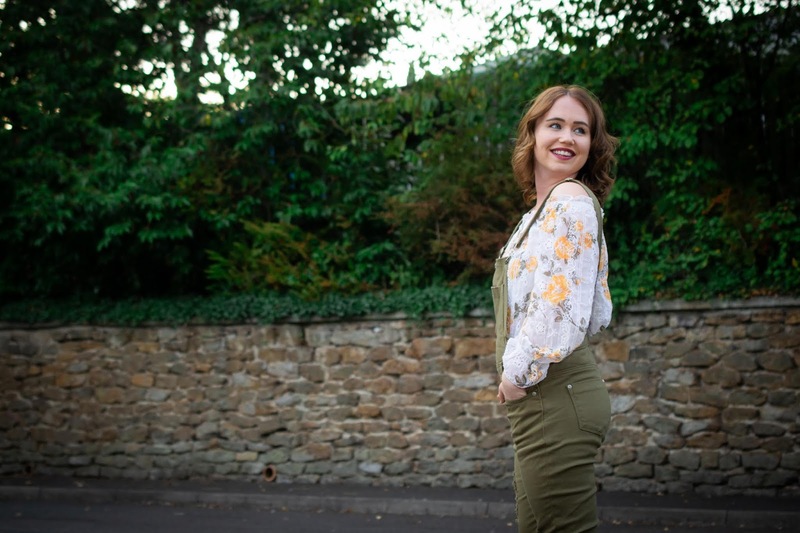 They also come in many different styles and colours on the high street depending on your personal style and did I mention how super comfy they are? Hell yeah! 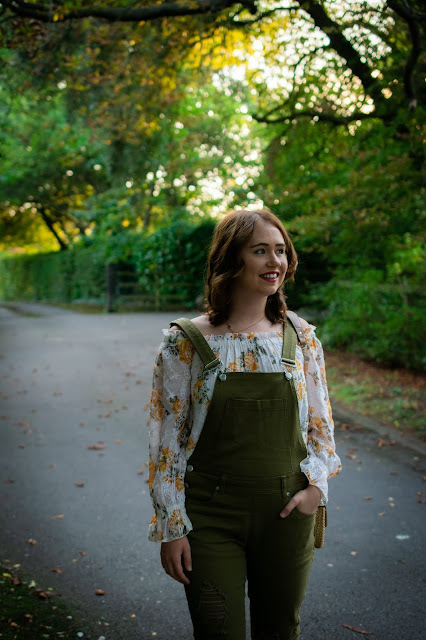 I have previously styled plain blue denim dungarees on the blog, but now I have another pair to add to my never ending wardrobe! 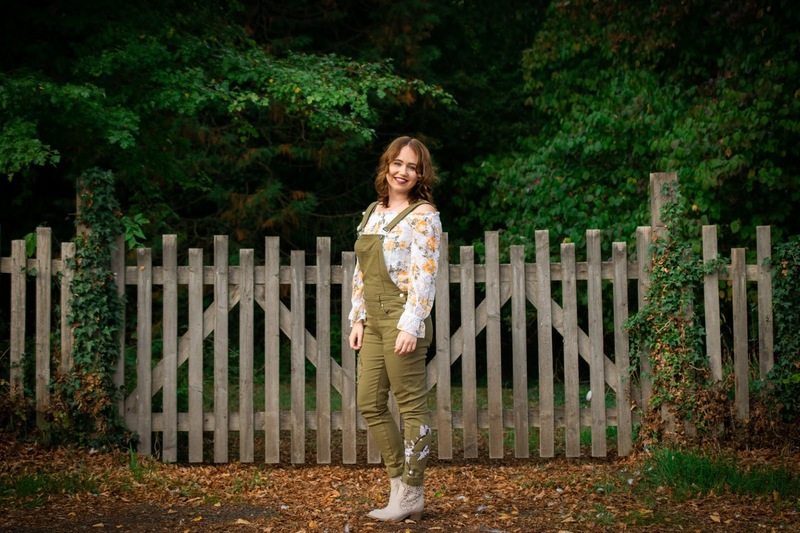 What I love about these Hidden Fashion Khaki Ripped Dungarees with a Floral Print (£7.50) is the autumnal colour, the distressed detailing and the floral print adds a girlish edge. They also have adjustable straps, so I could tailor the fit to my petite frame. 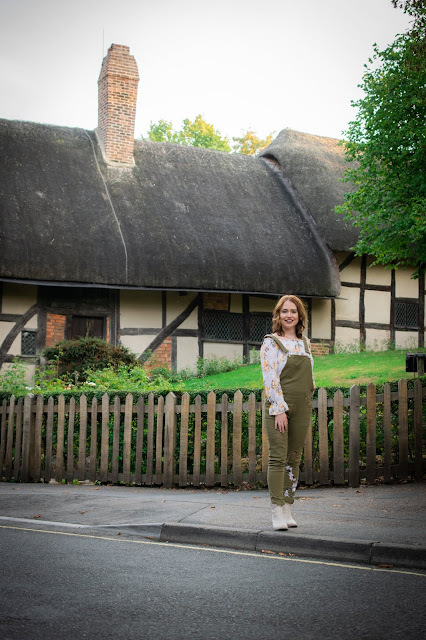 I have styled the dungarees with an off the shoulder floral blouse (Miss Selfridge) and beige Marco Tozzi boots, which both really compliment the khaki colour. 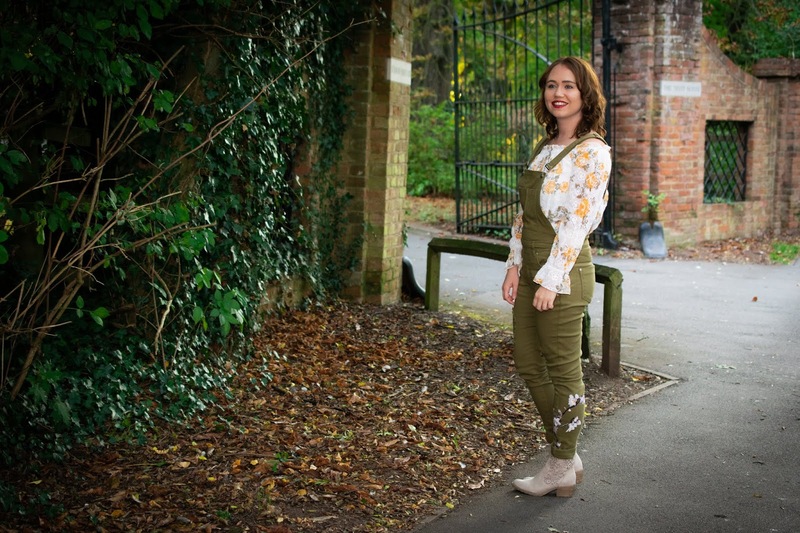 Will you be wearing dungarees this autumn? Such a cute and cozy outfit for early fall! 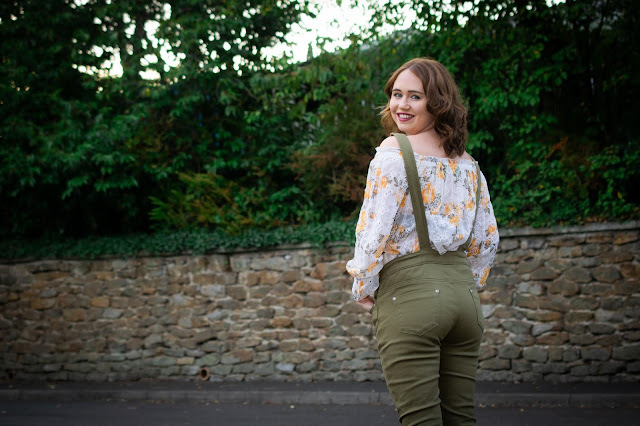 I'm glad I'm not the only one who just LOVES dungarees! I love the way that you've styled them, too. So cute! Alright you have me ready to go out and buy a paid! So stinkin cute! These are soo cute on you!! I haven't worn anything like this recently, but want to look for some this Fall!